We haven’t seen Miley Cyrus at the newsstand for what feels like an eternity (her last notable appearance was the October 2016 cover of ELLE). Now, with a new album on the way and a fresh look, Miley stages a comeback on the cover of Harper’s Bazaar for August 2017. Following in the footsteps of Lady Gaga, Madonna and Rihanna, Miley helps Bazaar continue its milestone 150th anniversary celebrations, participating in a dreamy Camilla Akrans cover shoot while looking effortless and at ease. “Why is everything so busy here? The cover, Miley’s edit, and the fashion content. I applaud them for going with such a nice shot for the newsstand version, but they had to ruin it with that art direction. I don’t think I could bring myself to get this issue, especially with Miley pushing her faux reinvention,” added Benn98. Forum member dodencebt wasn’t buying it either. “I like the image of Miley for the newsstand cover but the layout is disastrous. Very uninspired,” he disapproved. “It’s a total waste of Camilla but whatever. Does Miley even sell good?” KateTheGreatest asked. “This is so tame for Miley – I guess she’s changing her image,” acknowledged Handbag Queen. Scotty disagreed with the majority. “I actually love the cover. It looks very nice and not a mess like the rest of the covers this year (to be fair, I only remember Kendall Jenner‘s cover and that was not good! ),” he stated. “Lovely cover. Miley looks gorgeous. Can’t wait to see the full ed!” shared a delighted guimon. 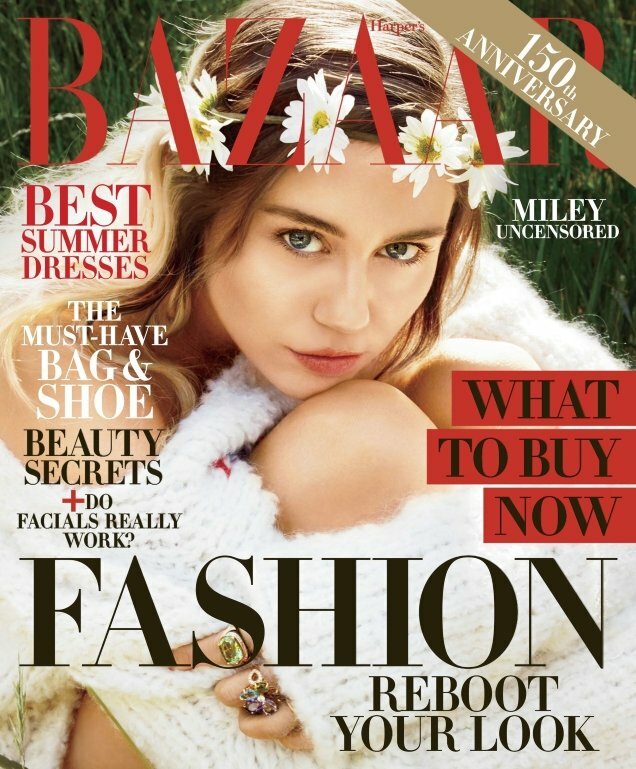 See more from Bazaar‘s latest and add your own two cents on Miley’s cover here.